As Reditho’s tweet below explains discussing famous dyslexics in class can give a real confidence boost to learners with dyslexia or low-level literacy skills. A lot of the basic skills literacy learners that I teach have very low self-esteem. They have convinced themselves that because they find reading and writing difficult that they are thick and will never amount to anything. Therefore raising awareness of successful dyslexics is extremely important as it proves to these types of learners that they can be as successful as others in the same position have before them. 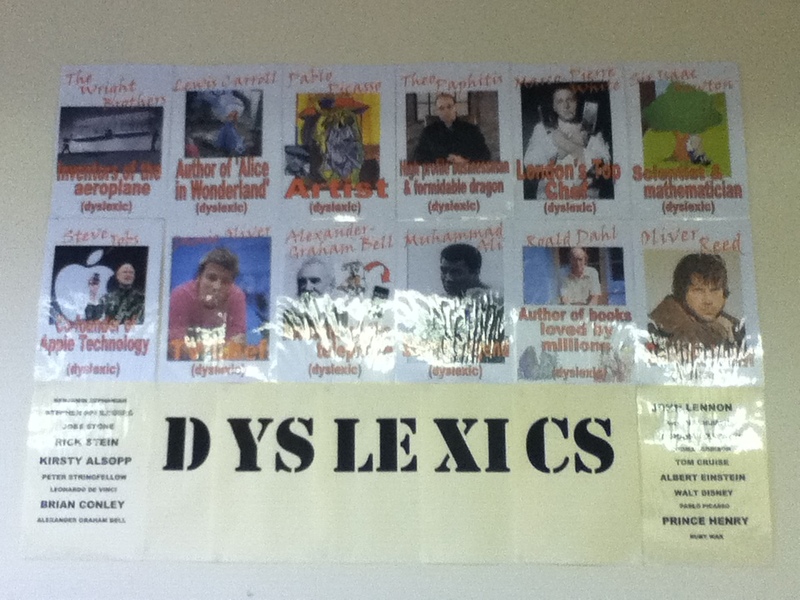 Instead of presenting a lesson on famous dyslexics I have created a large wall display as this promotes lots of discussion amongst my ever-changing learners ( I have new ones every Monday and Tuesday). Last week was the first time that the display had been presented and at regular points throughout the week lessons were stopped as students pointed out in amazement ‘Steve Jobs was dyslexic…and Winston Churchill….and Theo Paphitis.’ This provided the perfect opportunity to stop the lesson, discuss the image of dyslexics, challenge the preconceptions and discuss how dyslexia needn’t be a barrier to stopping you achieving your dreams. I printed the resources from TES which has a fantastic a 32 page printable poster series about famous dyslexics. 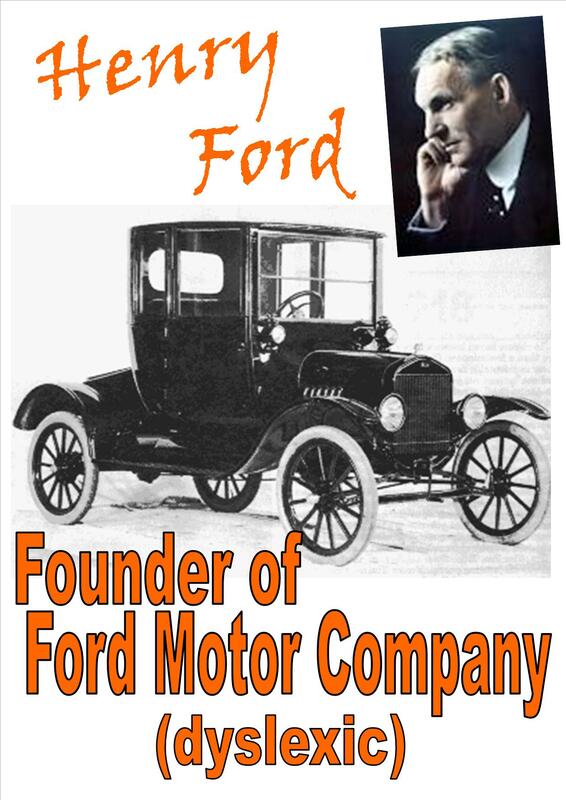 Each page has a picture of a famous dyslexic for example Winston Churchill, Henry Ford, Richard Branson, Albert Einstein and Walt Disney.